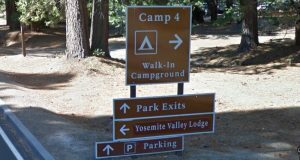 YOSEMITE — Yosemite National Park and The Ansel Adams Gallery will celebrate the winners of the 2017 Gateway Expressions Student Art, Photography and Poetry Contest from 11 a.m. to noon on Saturday, Nov. 18. The celebration reception will take place in front of The Ansel Adams Gallery in the Yosemite Village. This annual contest celebrates the creativity of students in the Yosemite community. This year, students submitted 232 paintings, drawings, photographs, poetry and more, highlighting some of Yosemite’s most iconic views and wildlife. This annual contest celebrates the creative work of youth living in the Yosemite gateway communities. The contest is open to all students, grades tK-12, who live in the gateway communities of Yosemite National Park. All winning submissions will be on public display at The Ansel Adams Gallery through Saturday, Nov. 18. The 7th Annual Gateway Expressions Student Art, Photography and Poetry Contest has been made possible through the generous support of Yosemite Conservancy and in collaboration with The Ansel Adams Gallery.